The 2018 Australian Open in Melbourne was very special for the World’s favourite tennis player. 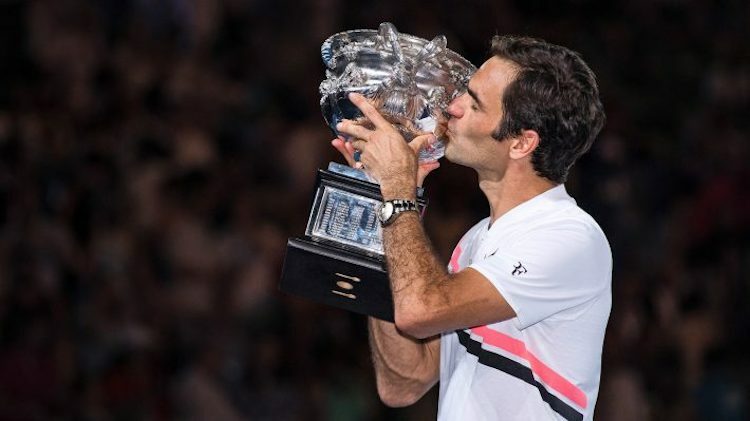 Not only did Roger Federer win the Men’s final against Marin Čilić in a heart-pounding three sets to two, he notched up his 20th Grand Slam title. An astounding feat for any player, but having been significantly sidelined with injuries and forced to wait four years between his lip-quivering, acceptance speeches – it’s something no one would have believed possible. The reality is simple, life isn’t always peachy for champions. After his Wimbledon win in 2012, back soreness, issues with his coach and a decision to change rackets cost him ATF ranking points and tournaments; his nemesis Rafael Nadal dominated their matches and victory alluded him. Then injury struck. It was routine bath time for his twin daughters when a sudden, painful click in his knee led him to the Orthopedic operating room for surgery and 12 days on crutches. He heeded medical advice and took a full six months off the circuit to completely heal; to recover and retrain mentally and to adjust his game. He swears now, it was this reset of his body, mind and soul that his career needed. He used the time to refocus on his goals, to rekindle his passion for the sport and to learn from his competitors. He watched countless hours of tennis and discovered new ways to counter his opponents. His learnings pushed him to focus on his backhand and improve his volley. He recognised his age and injuries meant that his game needed to be different, and evolved. He took the time to feed his inner fire and came back renewed, smarter and stronger. “Fed Ex” returned in 2017 winning his fifth Australian Open against Nadal, and claiming his eighth Wimbledon title. It was his best year of tennis in a decade. The great returned to greatness. Grow from defeat and tough times. It won’t always be easy. The ratings Gods will, at times, be unkind. And the radio game is constantly changing. Learn from mistakes, study your competitors and always be humble. Your ego can build walls you won’t be able to see over and you will miss the opportunities and lessons to keep you at the top of your game. Experience, knowledge, preparation and practice will always give you the best possible chance to win. And a commitment to never stop learning you ask? Yes, Roger that.